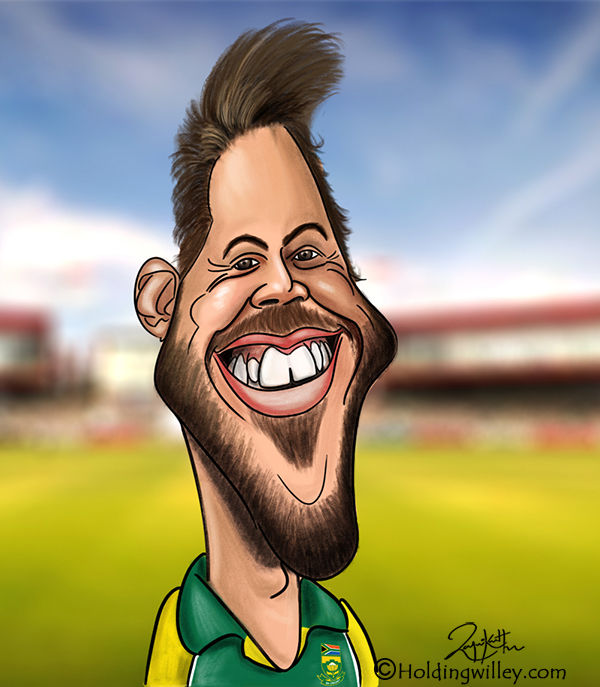 When you think of AB de Villiers, the first image that comes to mind is that of a devastating, limited overs batsman who decimates opposition attacks and wields the bat like an axe, battering bowlers into submission. He plays every shot in the book and uses the entire 360 degrees of the ground to score runs with his dazzling stroke play. Some critics and fans consider him to be the greatest batsman in ODI history. However, what is often overlooked is that he has scored more than 8,000 runs in Tests at an average of over 50. During the first Test versus India at Newlands, South Africa were tottering at 12/3 and looked set to be bowled out for a low score when De Villiers counterattacked in thrilling fashion. He struck 4 fours in one over off Bhuvneshwar Kumar to put the Indians of the back foot and his 65 of 84 balls propelled the Proteas to a competitive total. Even in the second innings, he scored 35 of 50 balls, which was the main reason for South Africa setting India a target in excess of 200. So, is he a great in Test cricket as well? Let’s see what the numbers say. The table below gives de Villiers’ record all over the world. He is one of the few batsmen who averages more away from home than at home, which shows that he isn’t just a fair-weather player who scores runs in familiar conditions. Moreover, he averages in excess of 40 against all countries except Bangladesh and New Zealand, which shows that he doesn’t have boosted numbers and a good record just by feasting on poor bowling attacks. Let’s divide the batting conditions all over the world into 3 different categories. In Asia, the pitches take turn, whereas in Australia and South Africa there is a lot of pace and bounce. In England and New Zealand batters face a lot of swing and seam. The table below gives AB’s record in these different conditions. During the early days of his Test career, AB used to don the wicket-keeper’s gloves and did a more than adequate job while still scoring a lot of runs. Like most talented batsmen, he gave up wicket-keeping, feeling that it would affect his batting. As a keeper, he played 24 Tests where he scored 2,067 runs at a batting average of 57.41 with 7 centuries. He averages 53.68, 57.96, 42.02 and 41 in the 1st, 2nd, 3rd and 4th innings of Tests respectively. While his average in the 3rd and 4th innings is less than the first two, they are pretty respectable numbers. They show that he is capable of scoring runs at all stages of a game, and does so often despite the vagaries of the pitch. AB has batted at every position in the batting order from number one to number eight. However, the majority of his innings have been at number five and number six. He has scored 3,782 runs at an average of 61 batting at number five, with 13 centuries. At number six, he has made 2,394 runs at an average of 52.04 with 5 centuries. In the history of Test cricket, there have been 44 batsmen who have scored at least 1,500 runs at number 5. AB has the 2nd best batting average at that position after Joe Root. AB’s career did not get off to a flying start. He made his debut on 17th December, 2004 and he had played 38 Tests up till 30th March, 2008. During this period, he made 2,322 runs at a modest average of 36.85. However, from 3rd April, 2008 till 24th February, 2014 he struck a purple patch where he scored 4,789 runs from 53 Tests at an incredible average of 65.6 with 15 centuries. During this period, he was the 5th highest scorer in Tests. Out of the 73 batsmen who scored a minimum of 1,000 runs in that time, he has the 2nd highest batting average after Shivnarine Chanderpaul. AB crossed 1,000 runs in a calendar year in 2005 and 2008 when he scored 1,008 and 1,061 runs respectively. He has faced a lot of criticism in recent years for picking and choosing the games in which he plays, to the extent that he even took an extended break from Test cricket. However, critics should take into account the enormous workload on his shoulders as he represents South Africa in all three formats and also plays the IPL. He has never managed to score a century in both innings of a Test, but he is never one to play for records. AB has stated his desire to win the 2019 World Cup in England, which might be his swansong from international cricket. As the above analysis has shown, he is a mighty fine player in Tests as well. The game of cricket will be immeasurably poorer when he decides to call it a day.